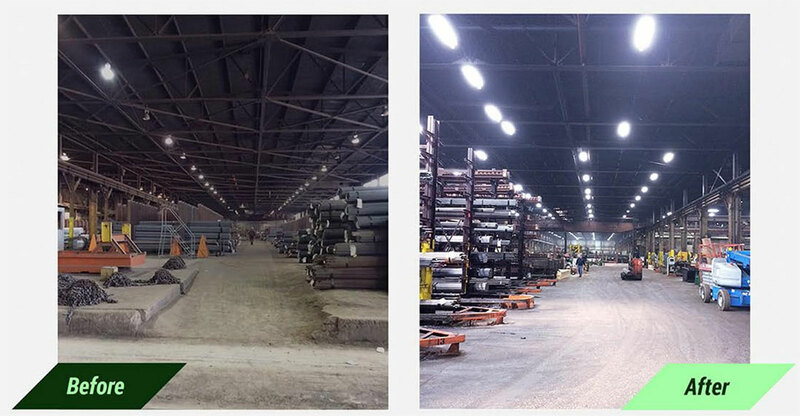 By installing a new, more efficient lighting system at Niagara LaSalle SteelCorp. in Hammond, IN., the company saves $246,000 on their electricity bill annually! With an Illinois utility incentive check of $170,000, the return on investment for the project was 5 months. Over 2,560,000 pounds of carbon dioxide is kept out of the air each year from the completion of this project – the equivalent of Niagara taking 242 cars off the road or eliminating 1,712 homes from the grid each year! The project was so successful that Niagara LaSalle Steel Corp. hired Verde Solutions for another project at its South Holland, IL facility! Niagara LaSalle Steel Corp. is America’s largest independent cold-ﬁnished steel bar manufacturer. Niagara LaSalle Steel Corp. operates eight production facilities across the United States with a combined plant size of 1M sqft. producing 42,000 tons of finished goods annually, is known for its continuous internal improvement through Lean SixSigma. When the company looked to lean up its electricity costs at its Hammond , Ind. facility, it turned to Verde Solutions for full-service project guidance. 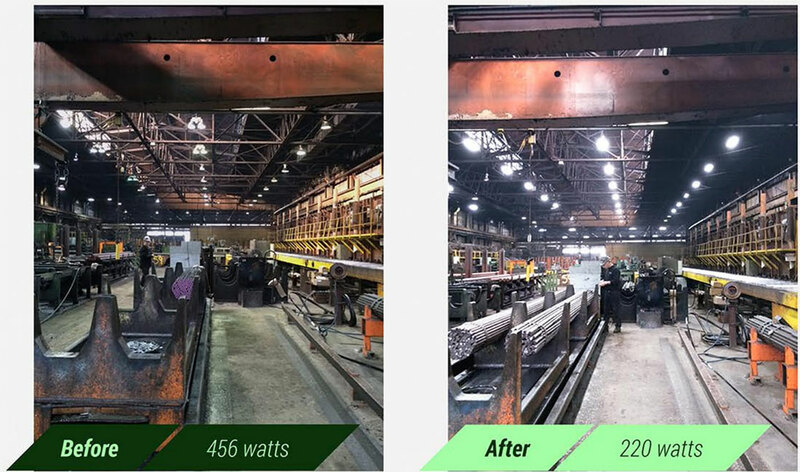 Niagara LaSalle Steel Corp. had a variety of lighting needs and worked with a certiﬁed Verde Solutions engineer to conduct a lighting analysis for the facility. Verde identiﬁed products that were high performance, tailored to Niagara’s needs, and that would deliver additional cost savings. 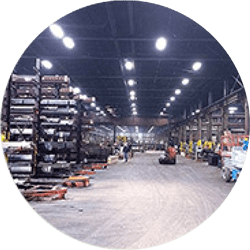 The majority of Niagara’s manufacturing facility was lit by 960 400-watt metal halide lightbulbs. Using photometrics to dictate design changes, Verde replaced these with 896 new 4 8. 8-lamp full-bodied T5 high bay ﬁxtures with high efﬁcient electronic ballasts. Additional savings were achieved by adding occupancy sensors to minimize wasted lighting. This upgrade alone resulted in 2,552,552 kWh of saved electricity a year! The ofﬁce area had old F40 T12 fluorescent 3 8. 4-lamp troffers that were wasting 189,675 kWh a year! By replacing them with high performance F32 T8 fluorescent 3-Iamps with low factor ballasts, electricity use was reduced by 46%.